50 objects for 50 years. No 23. The Award ceremony. 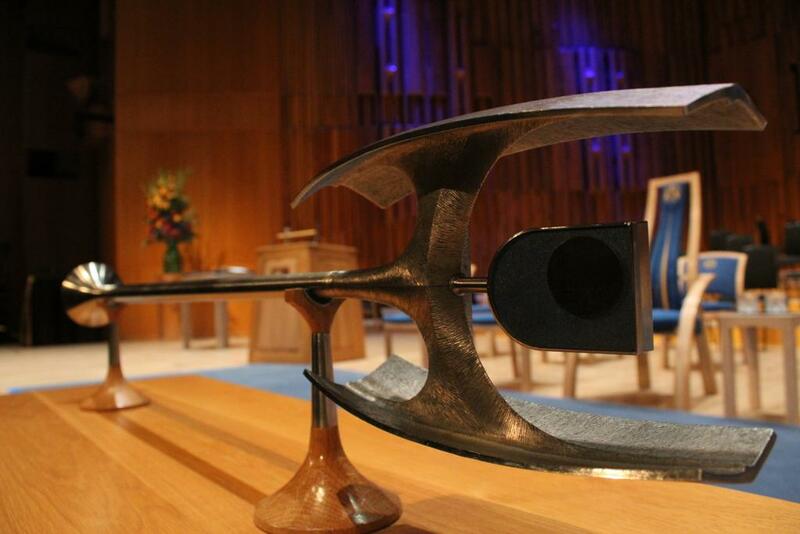 Award ceremonies might go better with a bit of pomp, and a mace but the music is always Fanfare for the common man. 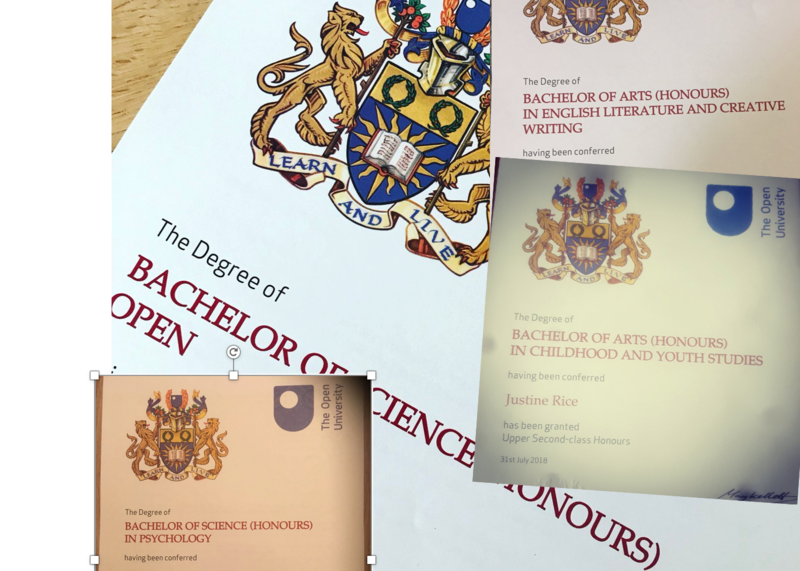 It was almost the case that the OU would not offer degrees or have a Royal Charter. 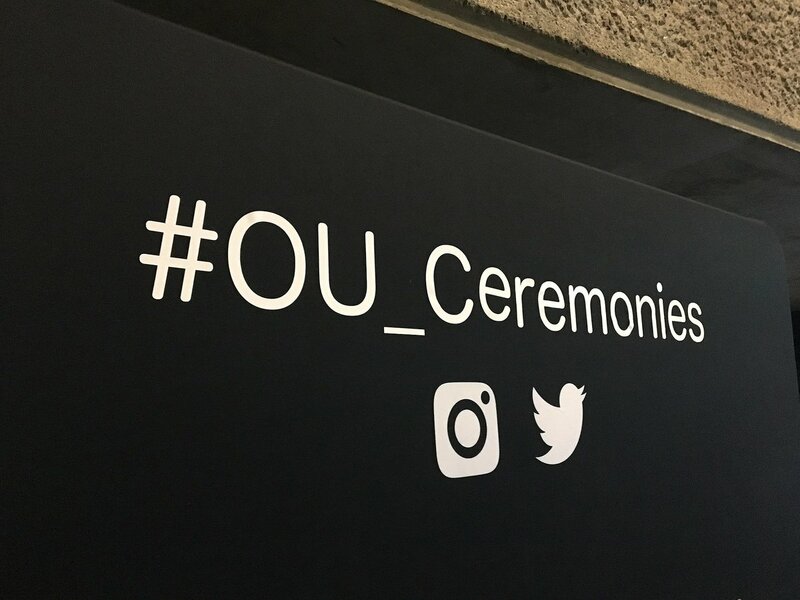 The original model for the OU was to connect existing extra-mural departments, the WEA, broadcasters, correspondence courses and night classes and for degrees to be awarded by an established university. However, in April 1965, Jennie Lee, the Minister responsible for creating the OU, committed the government to ‘implementing the University of the Air’, which would be autonomous and independent, and would support open access and award degrees. Her February 1966 White Paper, A University of the Air, reinforced the idea. Some of the early students had prior qualifications and had earned sufficient points to be awarded a degree by 1973. The first ceremony was held where many OU television programmes had been made, Alexandra Palace. It was broadcast live via the BBC. The Vice Chancellor Walter Perry told the first graduates – there were over 900 of them: ‘We have come up with what is undoubtedly the most difficult way of obtaining a degree yet devised by the wit of man. 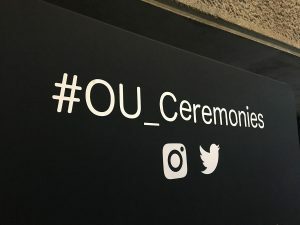 [You] have exhibited not only the necessary intellectual capacity but also qualities of staying power and determination.’ Since then there have OU degree ceremonies around the world, in prisons and online. When I heard that I’d got a First Class Degree I drove into town. The shopping centre turned into the multicoloured set of a musical. It took me all my time not to break into a song and dance act. Finally I could look everyone I met in the eye. I felt equal for the first time since that day in my headmistress’s study. Many others refer to a sense of achievement and triumph as being collective. When you see the families jump to their feet when their mum takes to the stage, when you hear about juggling of childcare, jobs, family finances, the supportive babysitting grandparents, the partner who brought a cup of tea as the student sat late at night completing that TMA, you come to realise that learning is a collaboration. 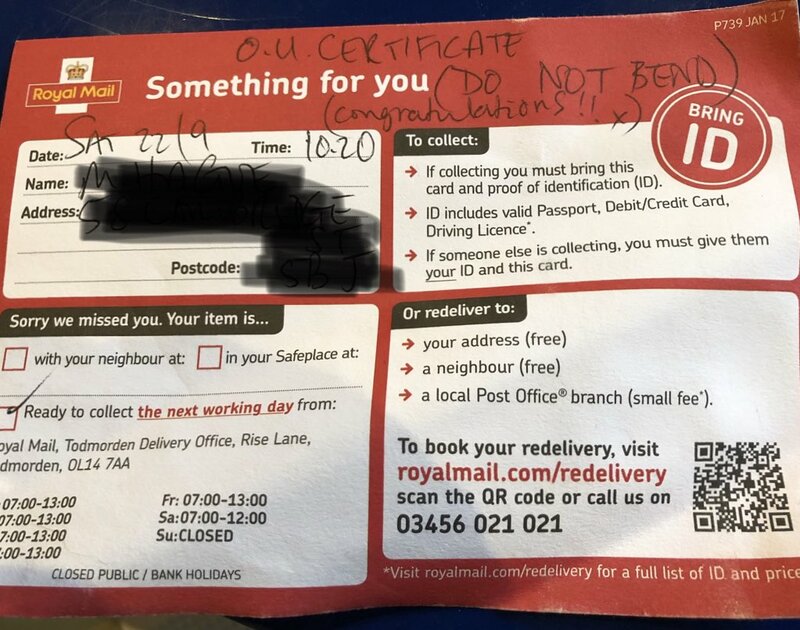 Congratulations from the postie. Perhaps the postie also has an OU degree?